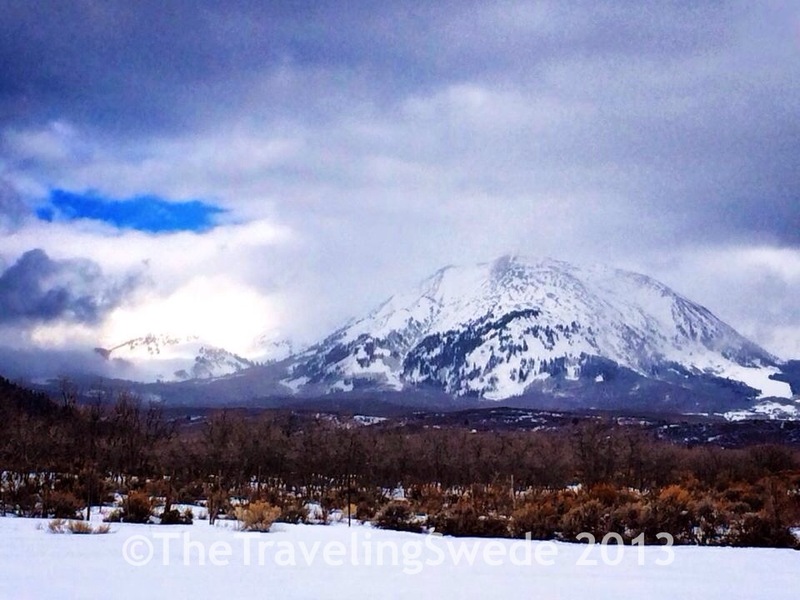 Driving towards La Sal mountains. 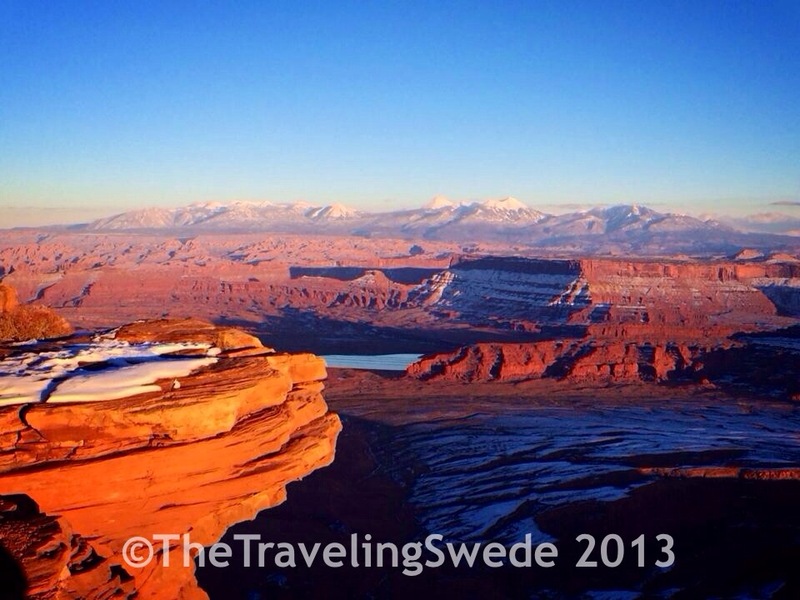 After a great time at the Canyonlands and Needles Overlook I did a quick side trip to the La Sal mountains. They entice me. When you see them in the distance they literally glow and they remind me about some mountain peaks in Europe. 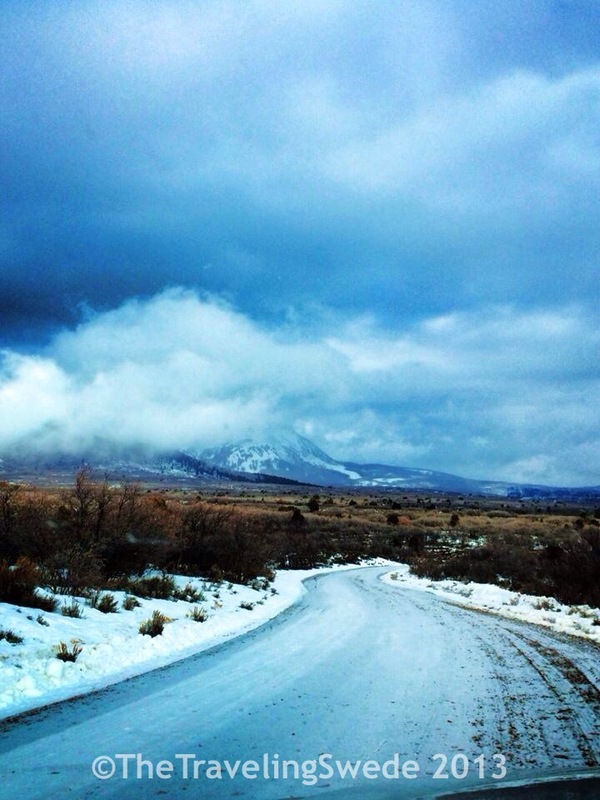 It was a cold and snowy day so most of the peak was covered in clouds. Hard to see the magic peaks with clouds covering them. 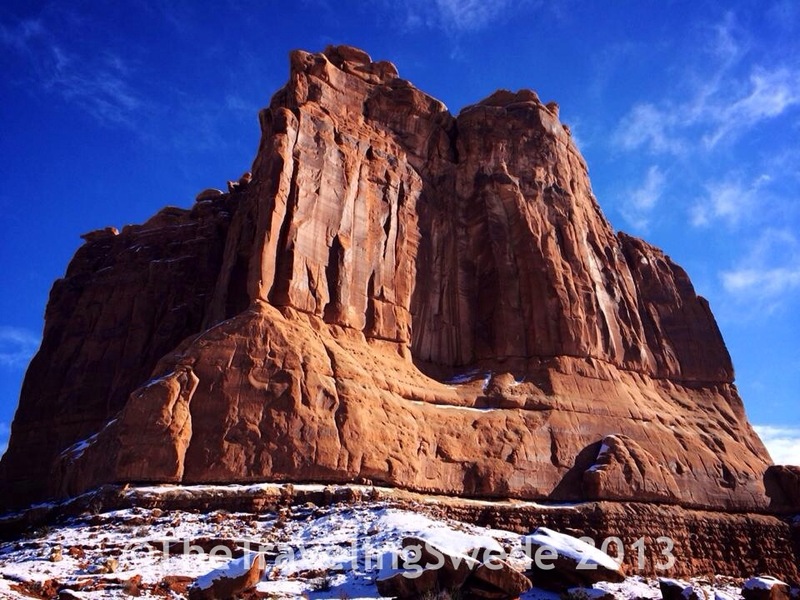 As soon as I approached Moab the sky turned blue and it was sunny. They have a say in Utah: “If you don’t like the weather just wait five minutes.” It really can change that quickly. 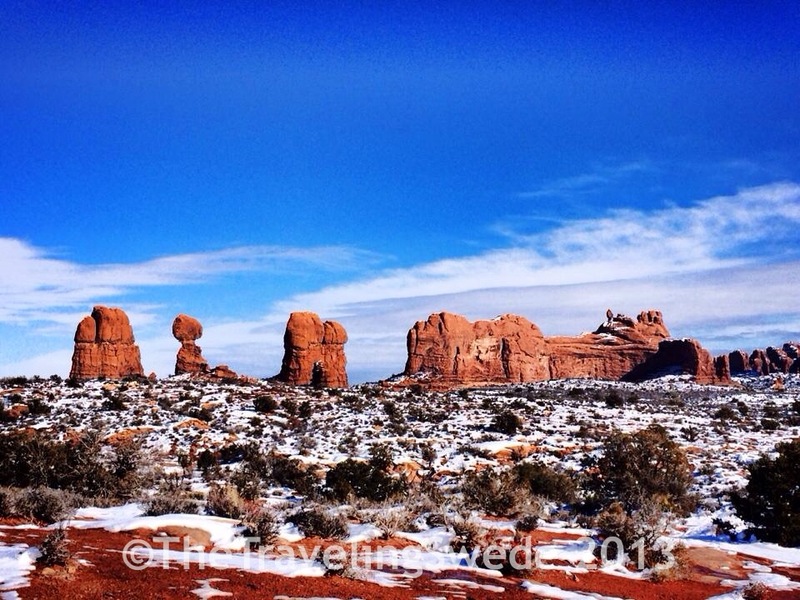 I decided to drive up to Arches National Park as I wanted to see if they had any snow. I was told the road to the Delicate Arch was closed due to snow. Wow! Driving up it did not look as if I was going to see any snow. It was like any normal day in Moab. 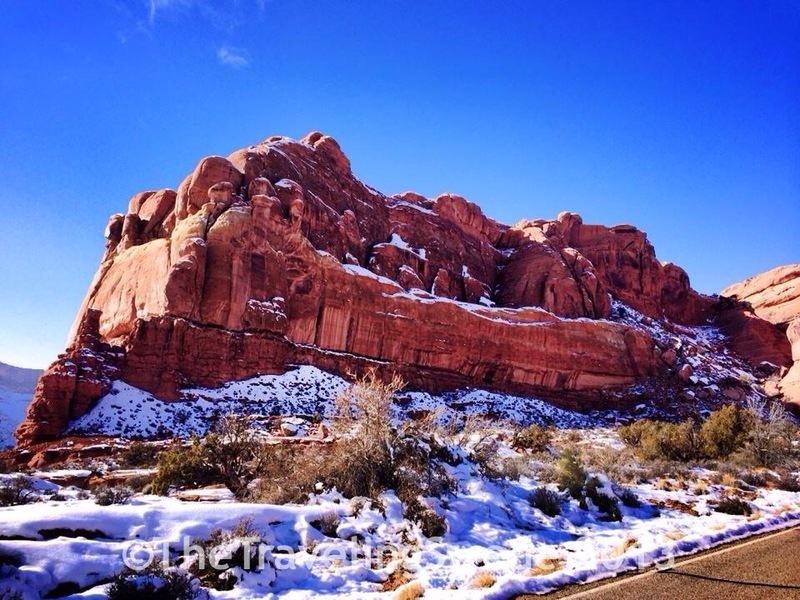 Sun, blue sky and red rock. I never get tired of that view. 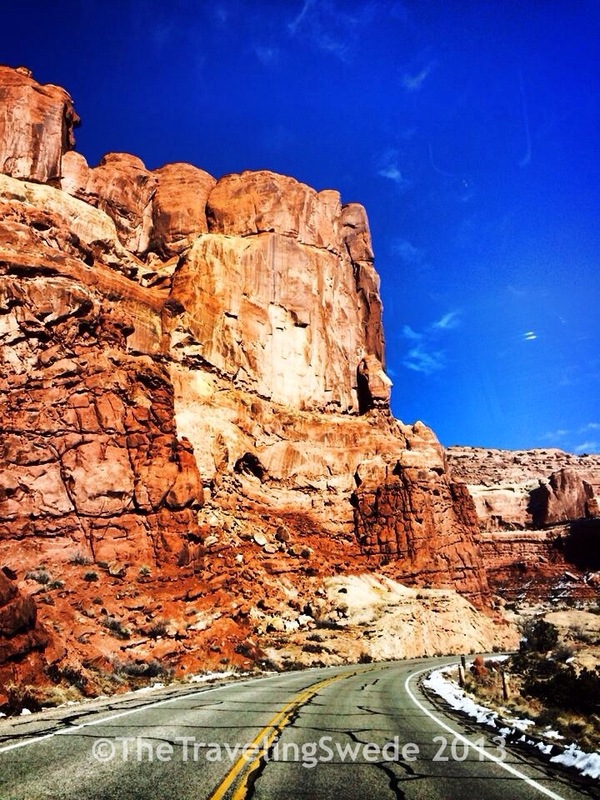 Driving up the scenic drive at Arches National Park. However, as I got higher up the red rock was now surrounded by snow. I talked to a few locals that said they had not seen that much snow in decades. It pays off to explore in the winter! 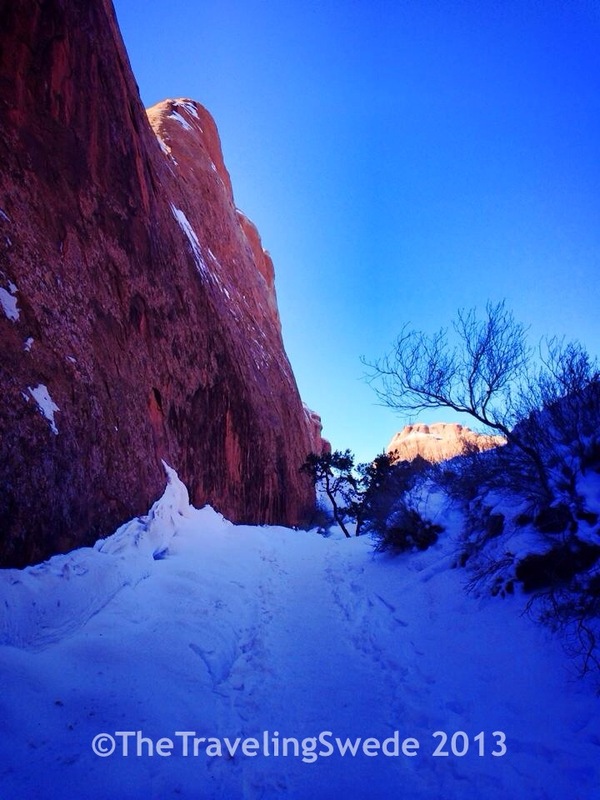 Sun, blue sky, red rock and snow. My lucky day! These are majestic…like everything else in the park. Named the Courthouse Towers. Balanced Rock and more cool formations in the background. 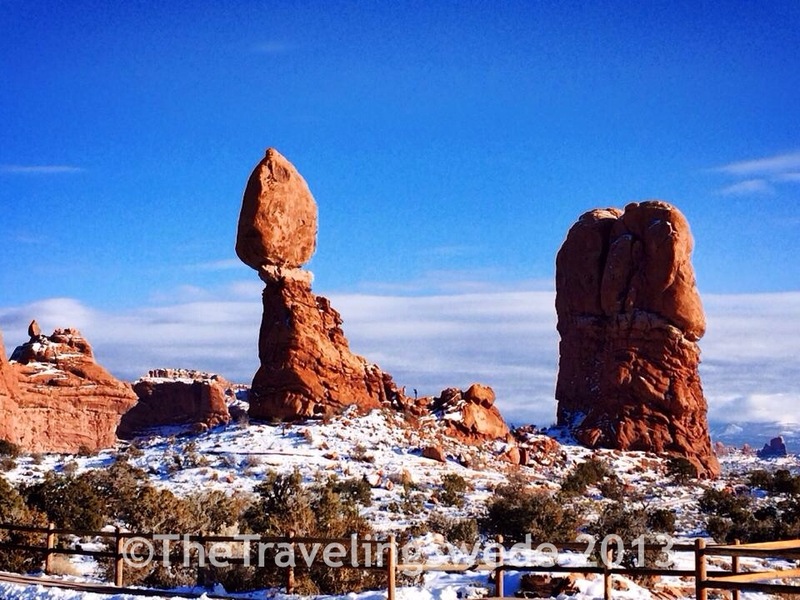 The Balanced Rock. It could fall tomorrow or stand another thousand years. The park was quiet except at Devil’s Garden where I probably ran into about twenty people. It felt kind of special to have the park almost to myself. Starting March it will be a different story. 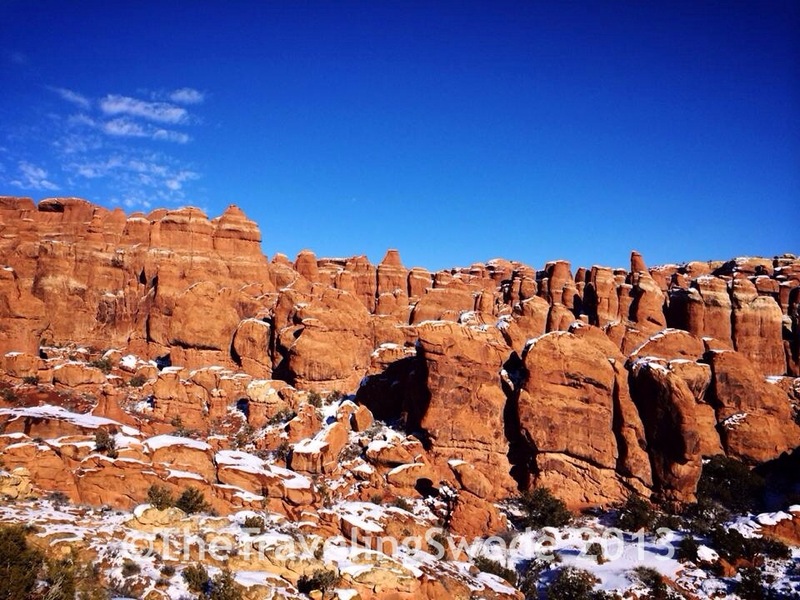 Arches National Park is one of my favorite parks simply because just driving through it is amazing and there are so many neat areas, overlooks and arches to check out within short hiking distances. 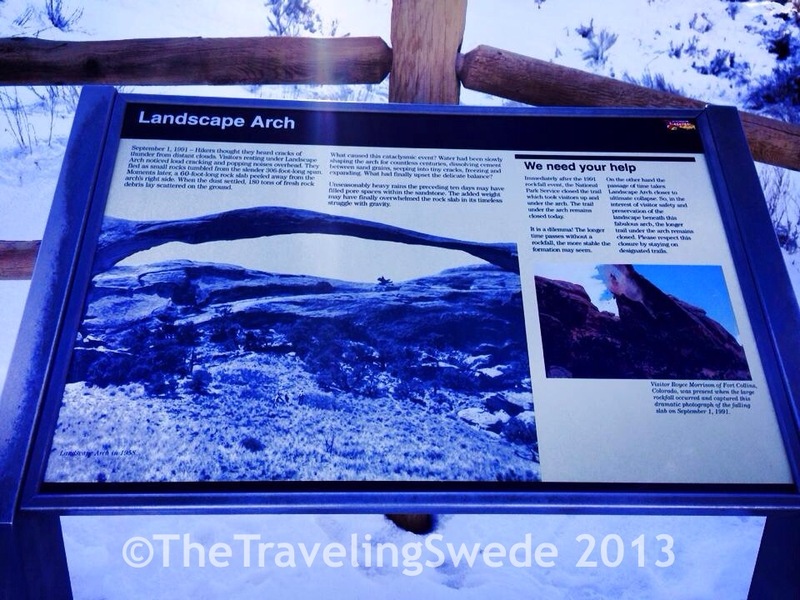 A mile hike in from Devil’s Garden parking lot is the Landscape Arch. Last little bit of sun peaking through at the Landscape Arch. 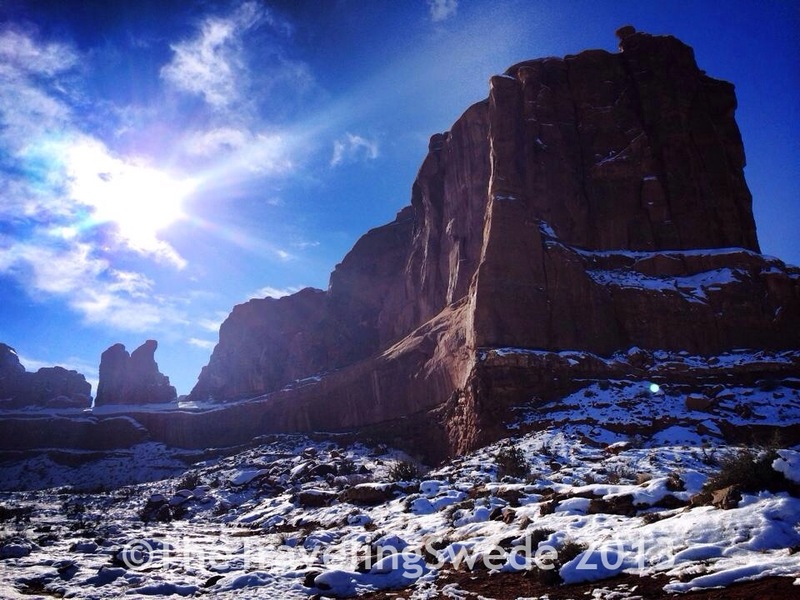 Fiery Furnace overlook. A great place for a hike, but only with a ranger and permit. After Arches I decided to go watch the sunset at Dead Horse Point State Park. 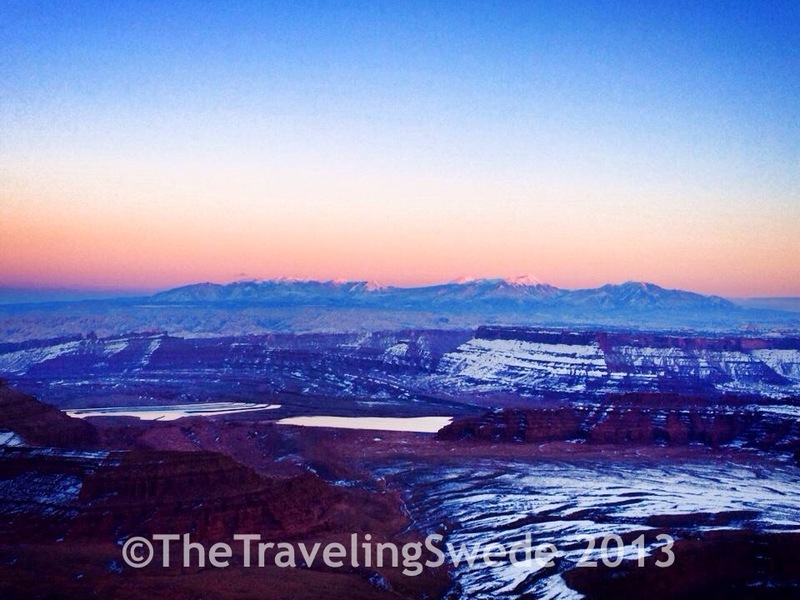 It’s a short drive from Moab and always worth it. This place is stunning and the beauty takes your breath away. I arrived just in time before the sun got too low and the entire canyon was lit up in red. Again, seeing some of this in snow was amazing. 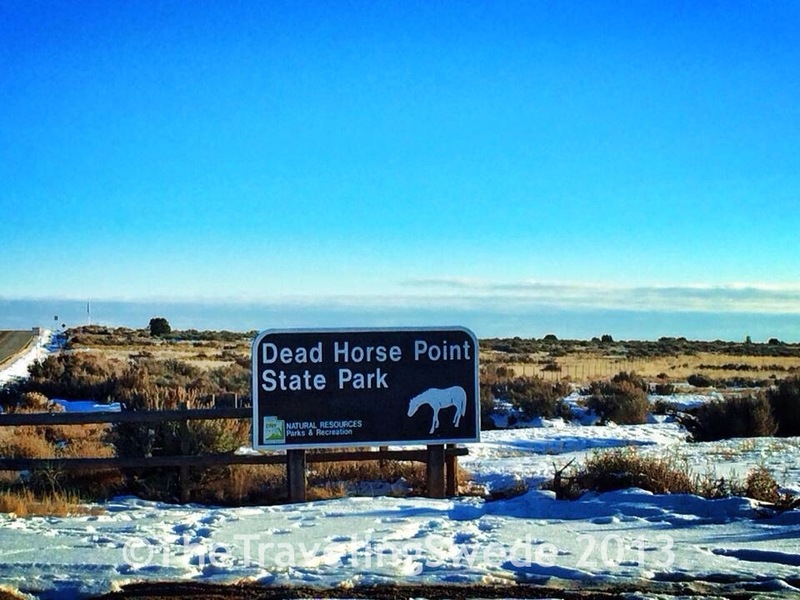 This area was used as a natural corral for horses back in the days. The overlook is much more dramatic in person. It’s truly breathtaking…no horse would go down this! 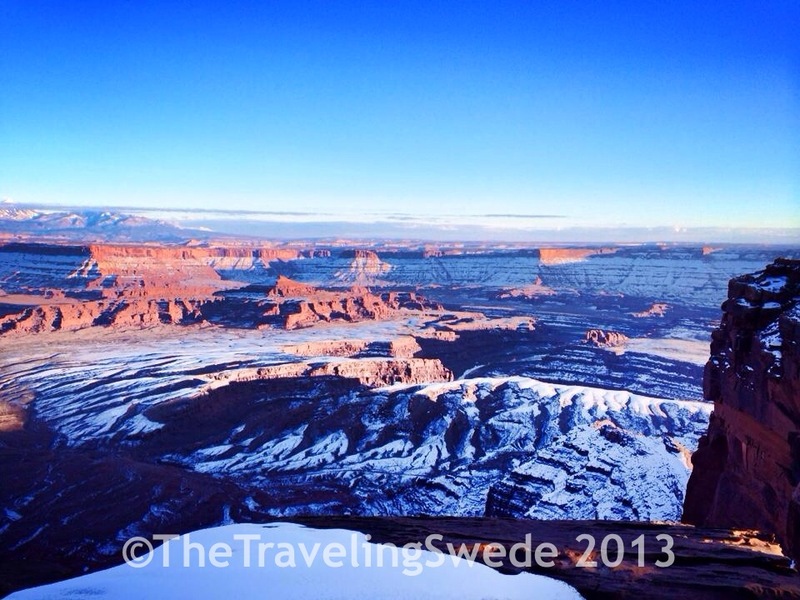 La Sal mountains in the background standing at the Dead Horse Point. 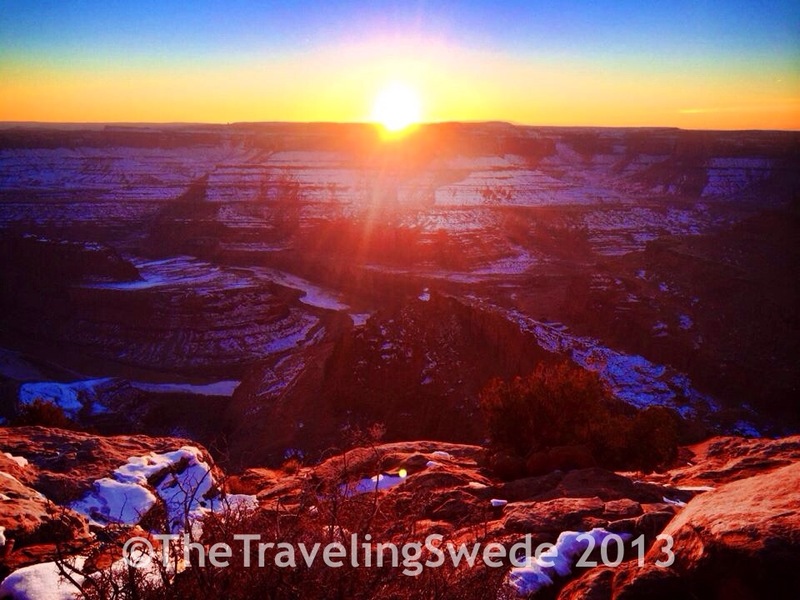 Sunset at Dead Horse Point overlook..
As soon as the sun set the temperature also dropped. After a quick camping dinner before dark I drove back to Moab and camped along the Colorado River. I fell asleep to a star studded sky…ah, life in the desert. 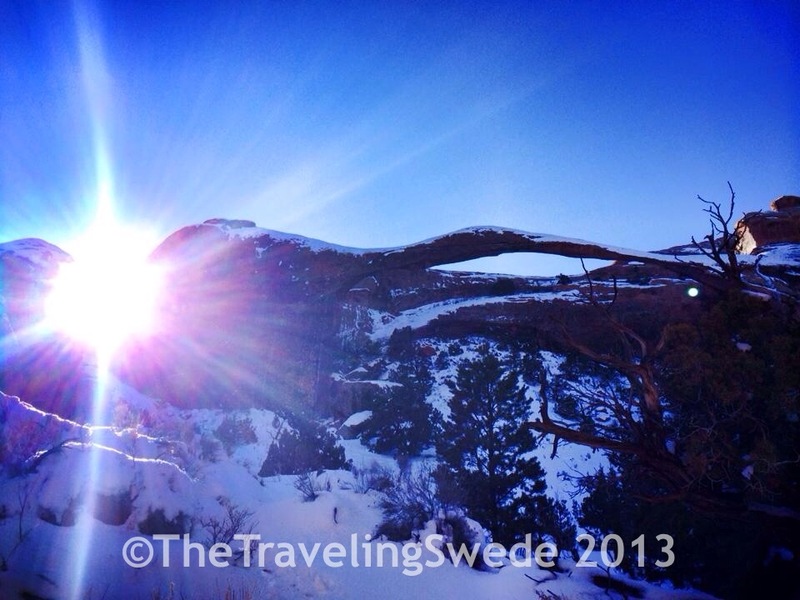 Stunning views, beautiful photos, and a peaceful park in winter. Really enjoyed reading this!